and also for the packaging and visual identity. Brand and visual identity of the Brachia p.z. is the product of design team of agency TRIDVAJEDAN. An illustrious Trojan warrior Antenor anchored on the island which he named Brachia (Brac) after his previous setting Ambrachiji. 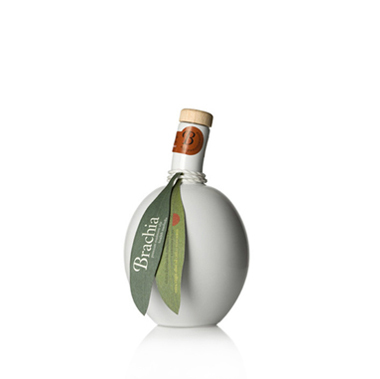 He was accompanied by a wine grower Silen who, due to the word of mouth, planted an olive sprout. The olive thrived on the infertile soil of the island of Brae and it become vital to many generations of the local people. And nowadays, we are given the pleasure of enjoying this authentic product of the island of Brac. 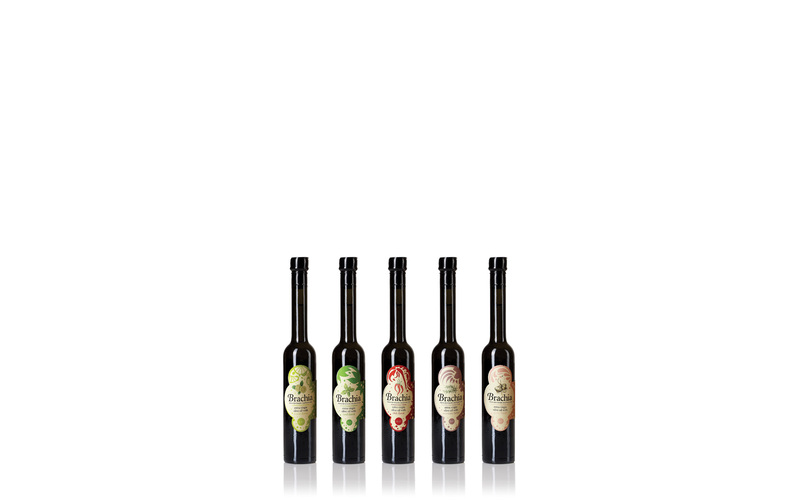 For the whole past decade olive oils from the highest Croatian island have acquired the utmost acknowledgment. Over the past years it has became almost an imperative. 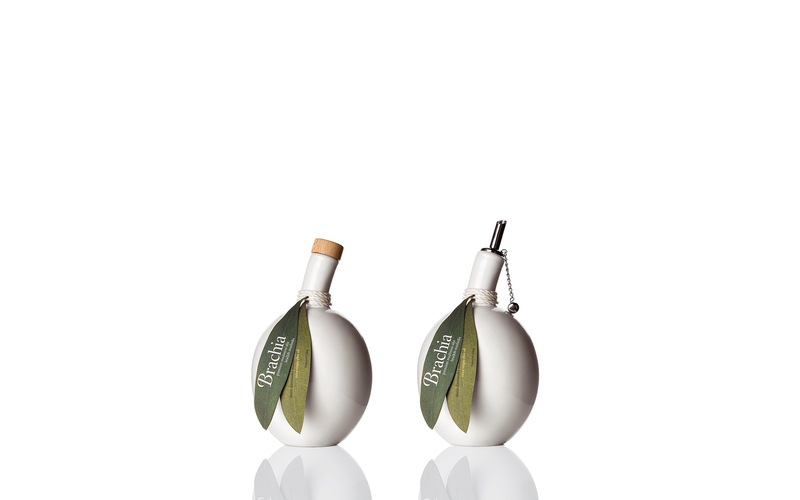 The most innovative olive manufactures have been installed on the island of Brac and the olive groves are being taken care of as never before. 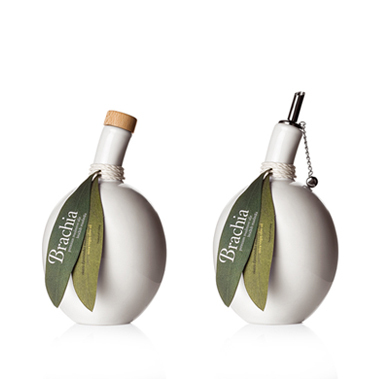 So this moment was considered as the right one to introduce the production of the Brachia olive oil. The fabrication of the respective oil was induced by enthusiasm of people, and their descendants, whose lives are intimately associated to the island. 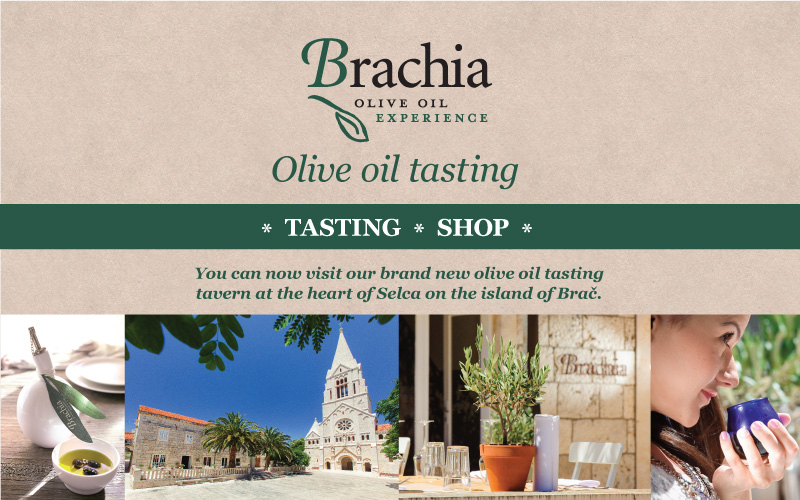 The mission of the Brachia oil is very straightforward: to represent to Croatia and to the world a sort of oil highly appreciated by the local people of the island of Brac over the past decades. 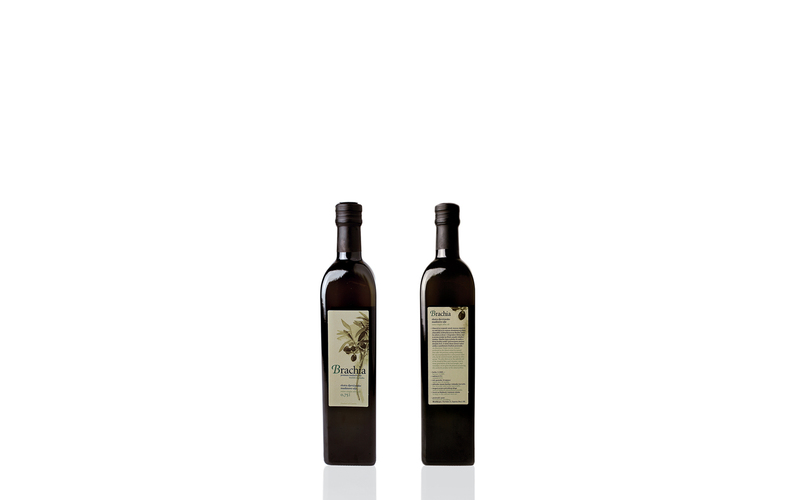 The oil is produced out of an authentic olive kind called oblica grown in the olive groves, insensitive to the strong and cold wind regarded as bura, as well as to the summer heath. 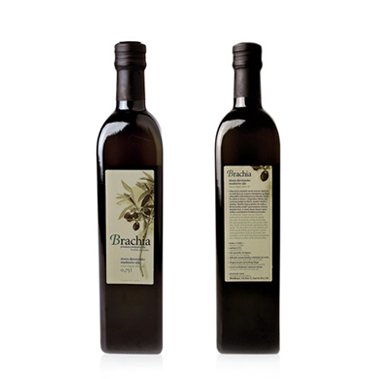 Olive experts speculate over the posture of the Brachia oil while those who have never enjoyed the supremacy of olive oil, would be astonished by its complex essence. 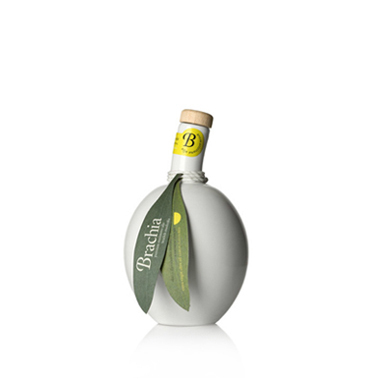 The scientific researches carried out over the past few years throughout the world, approved an already recognizable outlook: olive oil, as the most important component of the Mediterranean cuisine, has very beneficial effect on the human body. 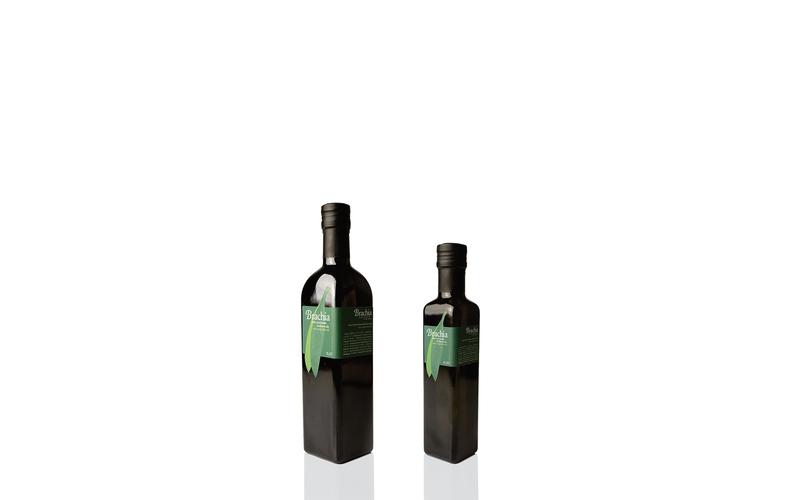 Due to the admirably balanced structure of olive oil it protects blood veins from premature ageing, it preserves the function of stomach and liver it sustains growing in childhood and, because of its nutritious and therapeutic effects, it is recommended in daily nourishment. 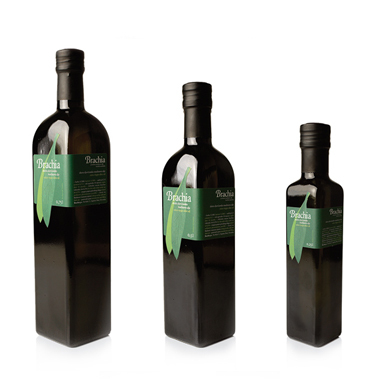 Olive oil prevents chronic diseases since it contains polyphenols which, as predicted by the recent researches, would be the most used remedy in the next decade. 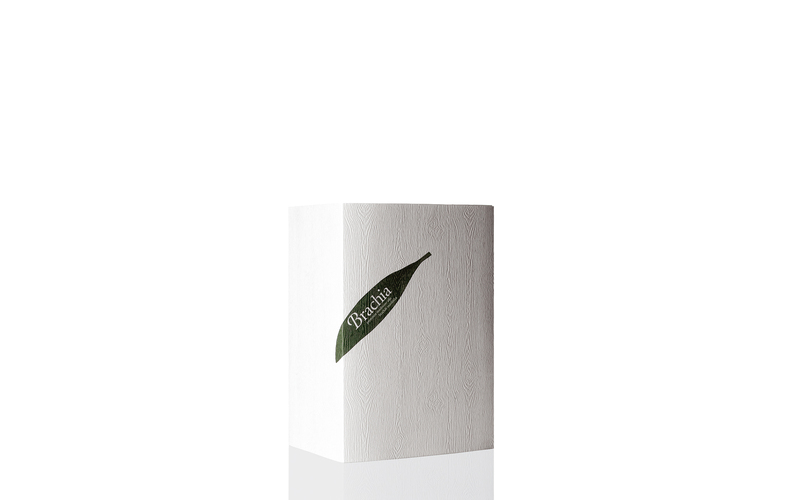 Brachia ceramic is our exclusive product. It is made of white ceramics. 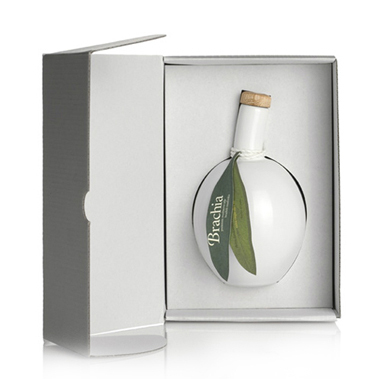 It is packed in a white box, and comes with stainless steel pourer. 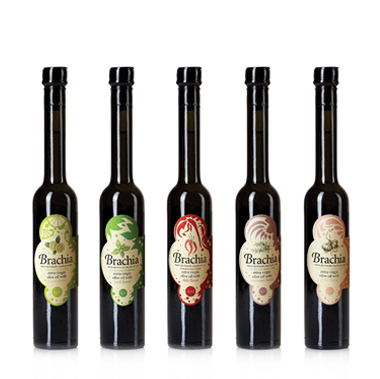 Brachia ceramic is chilli flavoured extra virgin olive oil. 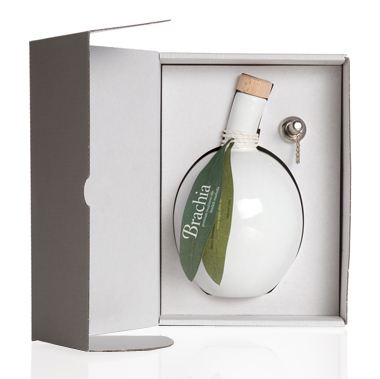 Brachia ceramic is lemon flavoured extra virgin olive oil. 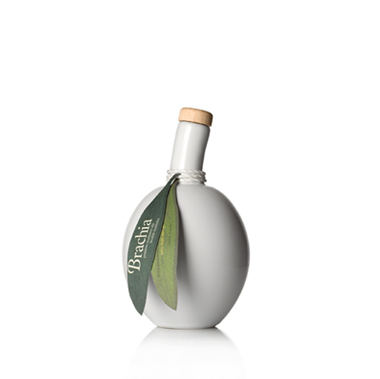 Brachia varietal olive oils are the result of our desire to promote indigenous olive sorts of the island of Brač. 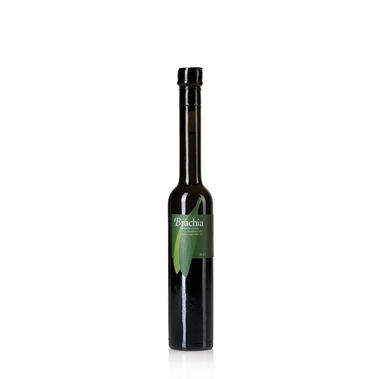 Brachia varietal olive oils are made from Oblica, Levantinka and Buharica olives. 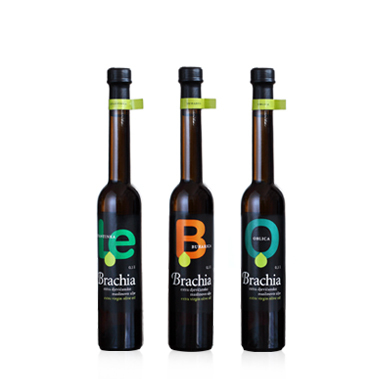 Brachia olive oil flavoured with lemon, basil, chilli, rosemary and garlic. E-MAIL *This is not a valid email address. *This field is required.